Yesterday was the first day of school here...and it was a pretty good one! 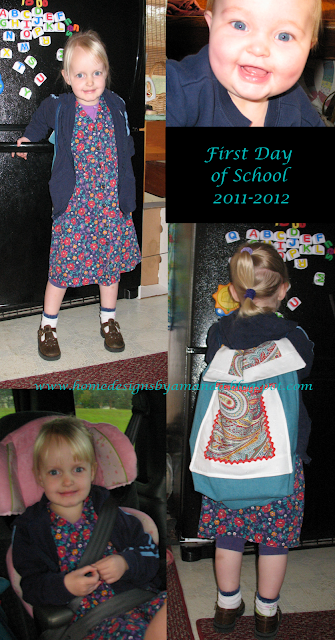 Liz had her first day of K4 (preschool). She gets to do her work on the two days I go to school to help and teach science. 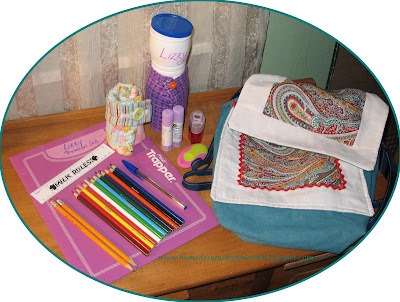 I love school/office supplies...but I think I love fabric MORE! 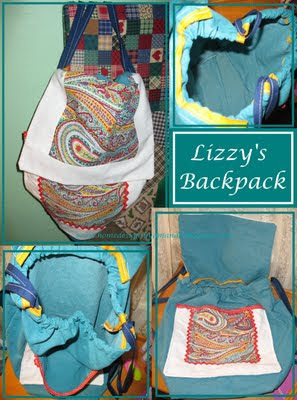 But we did get Liz a few things and I was able to make her a backpack. I may make a few more of these for some other kids, but those will probably be the 'generic' ones with one fabric for the holders, rather that the individual colors...well maybe, because I really like Liz's color coded one! 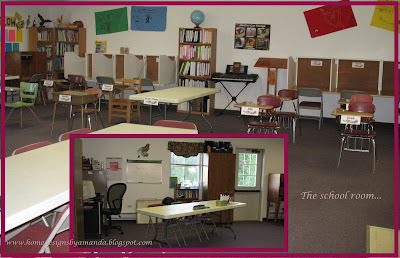 Here is the main school room the day before classes...just waiting for the kids to arrive! 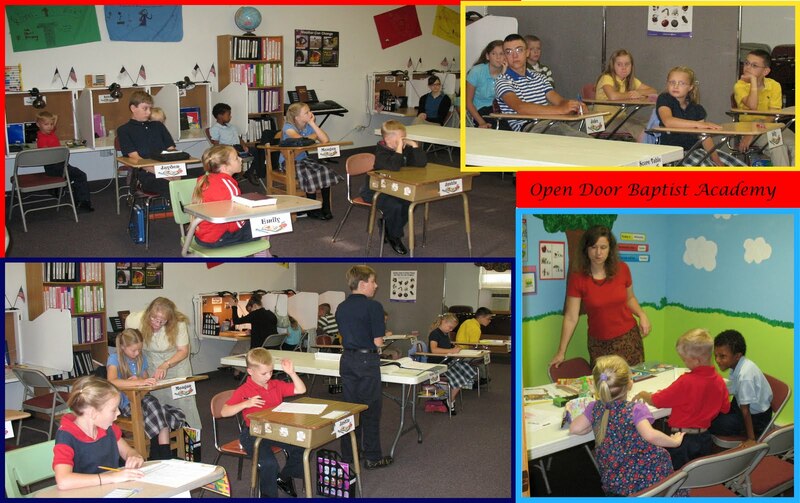 Then on the first day...filled and 'buzzing' with school sounds and activities. They work on their ACE PACE's in this main classroom, but for the taught classes they divide up and go somewhere else in the church...The first graders (and Liz) went to their own classroom for the morning. When it was time for science, we went to the auditorium so we can utilize the A/V equipment for PowerPoint presentations, that is also where the history classes meet on opposite days from science. They are filling up the teacher's desk. Each day, one child gets an opportunity to 'play'. Once all of them have gone twice...I'll put up a new one. One of the other teachers gave me a book on these types of board...it helped get ideas going! 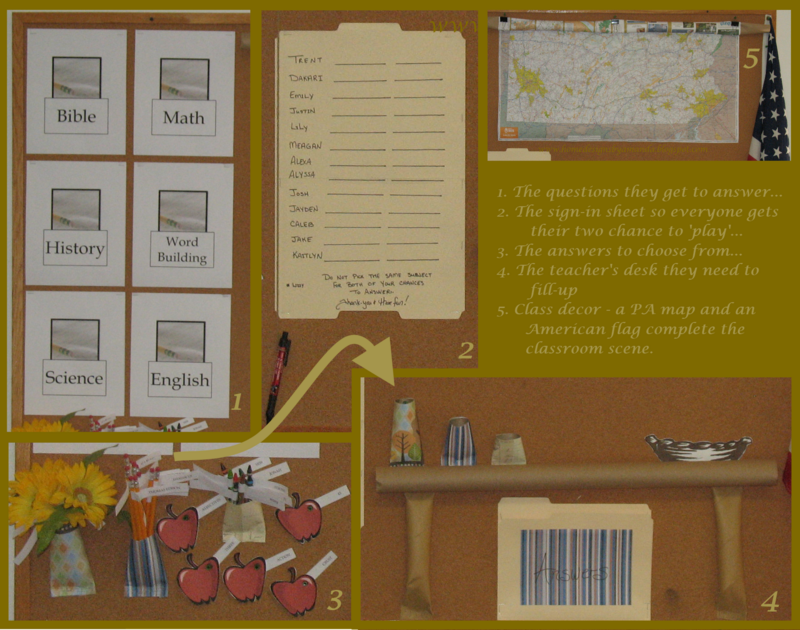 (This one is my own design...the book just showed me about interactive bulletin boards...I don't remember ever having any in school. )﻿ The one for October will have something to do with leaves...I LOVE FALL! I am so glad we have a Christian school at our church where I know I can send my girls and not worry about what kind of things they are learning. At one time, I thought I would like to homeschool...but now I KNOW that homeschooling would not be for me (unless for some reason there is no good christian school available). Especial with the beginning years of learning...I'm not good with the younger levels, but our school has a range of volunteer teachers that are good at all the different ages. I'm glad to be a part of this school! As usual, I'll be joining some linky parties...so, check out the right side bar if you want to join them too. We started our class out with this verse...to remind the kids to take their school work seriously. But sometimes I need to remind myself of this on some thing that I have to do...but might not really care to do. Because in reality, everything we do is to be done to bring glory to God...so shouldn't we do it all to the best of our ability? That first day of school is so important to a child! She looks so ready and eager! 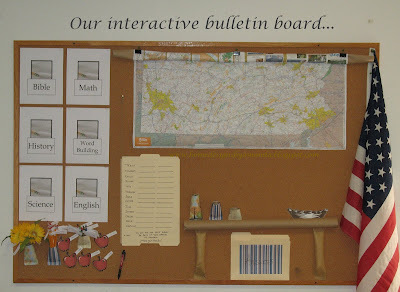 I used interactive boards when I taught 2nd grade. Mine revolved around the calendar, but we learned so many different things from it - math, patterns, matching, reading, weather, temperature, etc. The kids loved it. I just looked at a close up of your bulletin board. 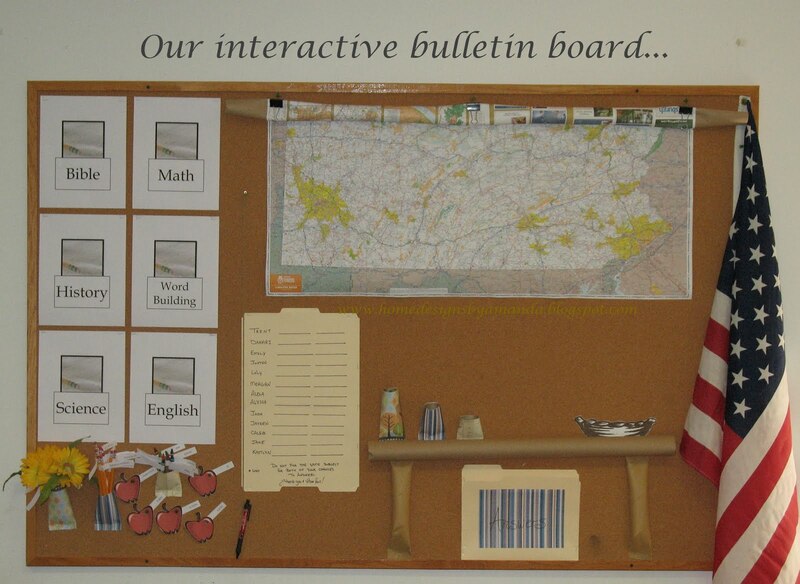 That is not the type of interactive board we had, although it looks like fun! Thanks so much for linking up to Tuesday Talent Show! I would love to have you stop by and link up again today with more great projects! congratulations on your first days of school...what a fun looking place...and i had to giggle...i was a former 'homeschooling is definitely not for me' girl and here i am...on my 8th year of homeschooling! thanks for linking up to fridays unfolded!